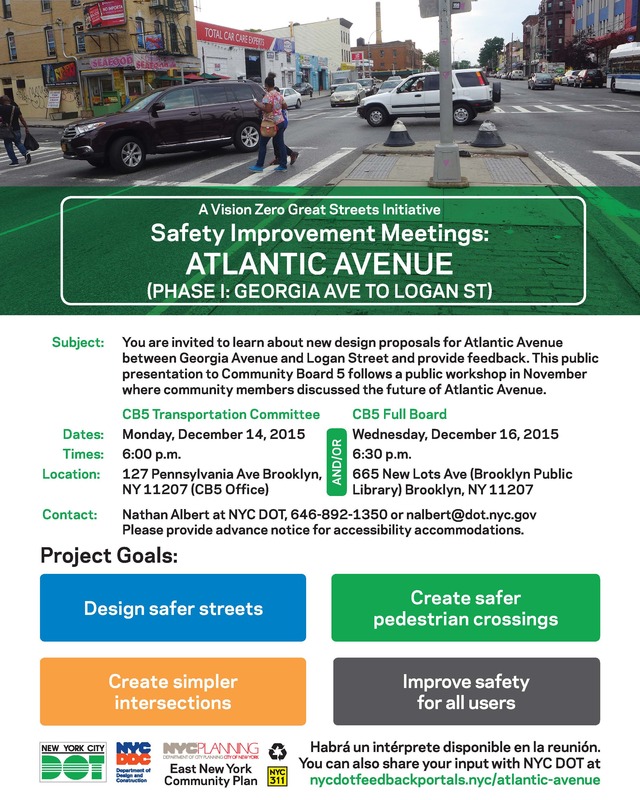 You are invited to learn about new design proposals for Atlantic Avenue between Georgia Avenue and Logan Street and provide feedback. This public presentation to Community Board 5 follows a public workshop in November where community members discussed the future of Atlantic Avenue. Contact: Nathan Albert at NYC DOT, 646-892-1350 or nalbert@dot.nyc.gov. Please provide advance notice for accessibility accomodations.